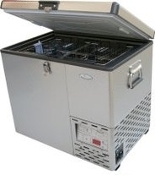 The National Luna Freezer/Fridge line is arguably the best portable refrigeration available in the world. 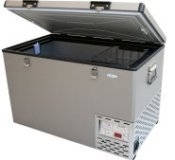 The 40L Aluminum Model won the 2007 Overland Journal Fridge Comparison Editors Choice Award for its quality and performance. 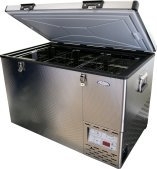 The Weekender 52L Stainless Steel model won the 2010 Editor's Choice Award for the same reasons. Their combination of design, durability, and energy economy is second to none. National Luna is the choice of Overlanders in Africa, Australia, and Europe. And now we are proud to offer it to you here is the United States.